I never knew anyone with a fig tree before moving to Texas. I seriously had never had figs unless you count Fig Newtons, and I am really not sure that counts! Figs were common to the area we moved, the church we served had fig trees on their grounds. A sweet lady from church gave me a mess of figs and a recipe for fig cake. You know my love for handwritten recipes , but I don't have the lady's name on the card and for the life of me I can't remember. Sad face. I made the cake while my dad was visiting and he said it was one of the best cakes he ever had. When we moved here another sweet lady in our church, Betty, don't you just love sweet ladies, gave us a fig tree. 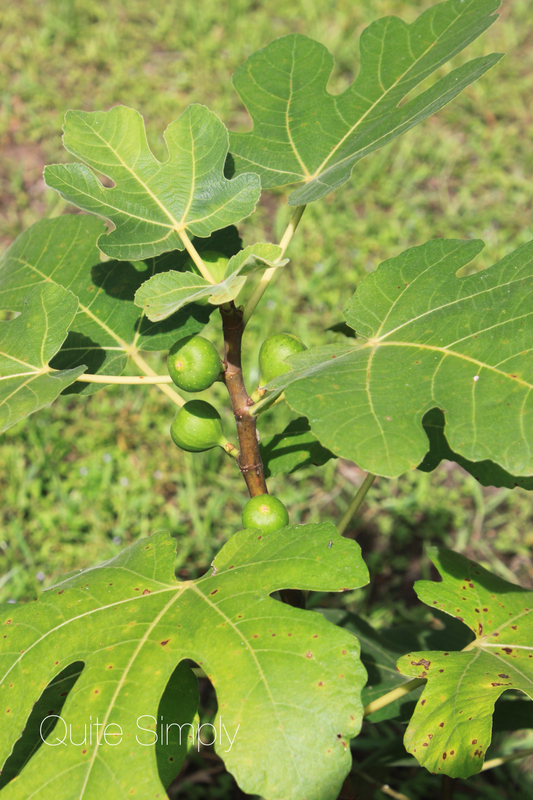 While our tree just has a handful of figs that will be harvested this year, they aren't ready. Mrs. Betty brought us some figs last week. 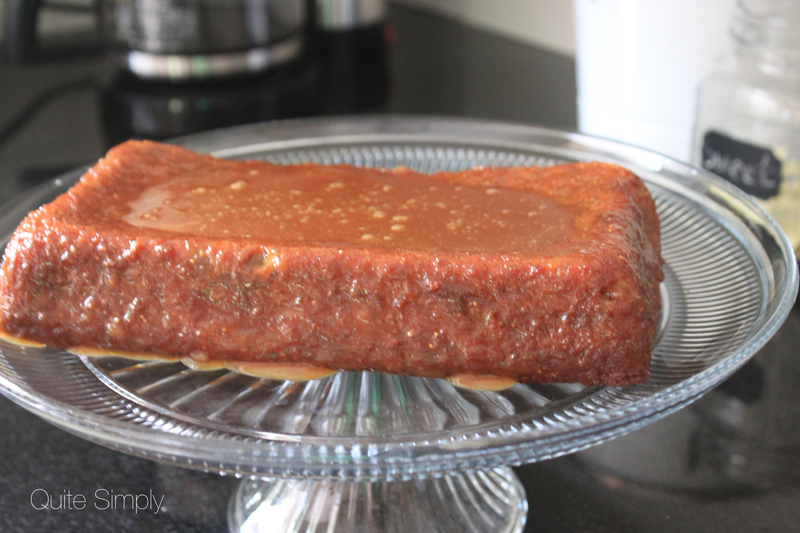 That meant is was time to dig out the fig cake recipe, I wanted to share it with you. This cake is very dense and moist. I added a buttermilk glaze, but I believe next time I will just top each piece with whipped cream and a dash of cinnamon. Disclaimer, I halved this recipe and baked in a loaf pan because I just had one cup of figs, I used two whole eggs. Although the cake still tasted good, I would not do this again. 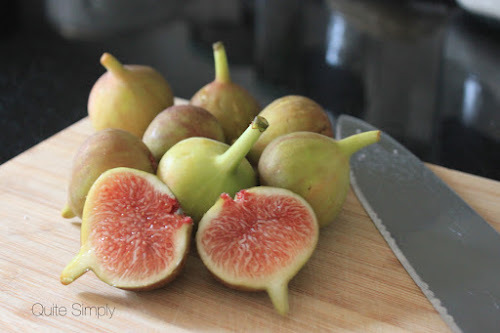 If you have access to fresh figs you should definitely give it a try, my family loves it and Mr. Wonderful is not even a fan of Fig Newtons! It is really good, I hope you will let me know how you like it! Thanks for visiting. I hope to give jam a try when my tree really starts producing. Thanks for the visit Melanie! I have never seem figs in the grocery, have you? Thanks for the visit! Marie, I am not crazy about them raw. But would suggest you give them a try. Have a great day. Thanks for the visit Cathy. The cake is so moist and has a nice taste. Thank you so much for visiting. Looks delicious. Thanks for sharing it. Thank you so much, we enjoy it! Thanks also for the visit. I don't know if I have ever had a fresh fig, but it looks so yummy! I wouldn't even know what to do with them, but so neat you made a cake! Yum yum! Caroline, I had never had a fresh fig either. Hoping to make some preserves too! Thanks for dropping in. Yum! This sounds amazing. I'll have to give it a try. My great-grandma had fig trees, and other fruit trees... and we had tons of fresh fruit recipes. We now live in a city where fruit from our yard is not really available, I totally miss those treats. There's nothing like just picked fresh. I've never had fig cake before. In fact, I'm like you. The only fig I have had is from Fig Newton cookies but that probably doesn't count. The cake looks delicious. I know! What is up with that! lol thanks for stopping in Mary. It was good for breakfast! lol Have a great day. I absolutely love fresh figs... and grilled figs and roasted figs. And Fig Newtons, lol. That fig cake does sound pretty tasty. Grilled figs and roasted figs sounds good, when my tree starts producing, I will have to try them all. Have a great day and thanks for stopping by. The taste is not a strong taste. Raw ones taste kind of earthy to me. Thanks for visiting. I have never eaten a fig cake before. Thanks for the recipe. Let me know if you like it. I enjoyed your visit!